The Museum Village of Sóstó is the biggest regional open-air ethnographic museum in Hungary. Ever since it was established (1970) and opened (1979), it received the title 'The Museum of the Year' and became the most often visited museum of Szabolcs-Szatmár-Bereg County. Yearly 70-80 thousands visit it even though it is only open from April until October. Around 100 objects form an authentic settlement concerning the buildings and structure. The living quarters and the barns built in the yards are accompanied with several other smaller structures. Just like in real villages, the cemetery is also present along with the gypsy buildings at the end of the village. 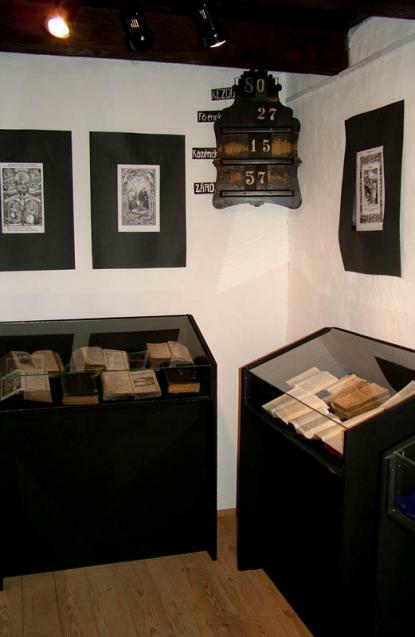 The museum presents the history of the school relocated from Barabás. In the building with shingle roof and verandah built at the end of the 19th century, original interior shows state of the school between WWI and WWII. In a classroom, pageants and showcases show documents and objects from the end of the 19th century to the 1960's seriously influenced by the educational policy of the time.